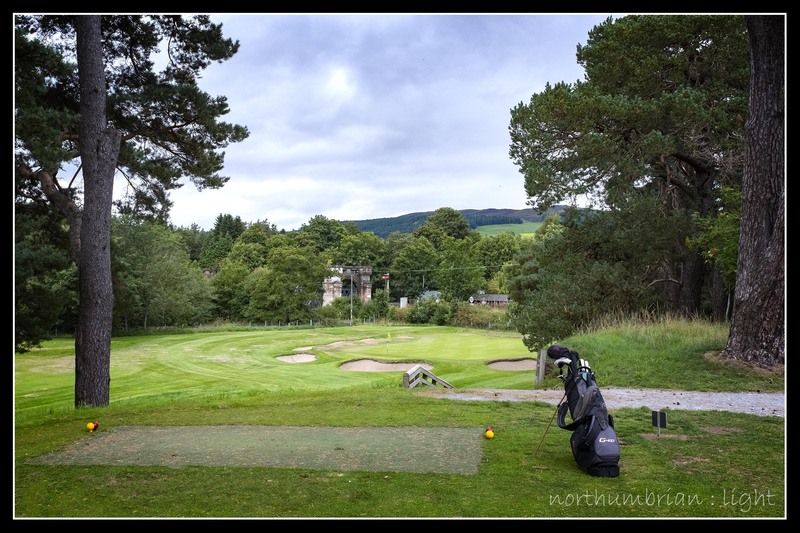 Laid out between the railway line and the River Garry, Blair Atholl has all the ingredients of a Golf in the Wild course – surrounded by high hills, 9-holes, an honesty box and, on the day I played, empty but for one other distant golfer. The course was effectively my own. It is mostly flat – the elevated first tee is the high point of the course. 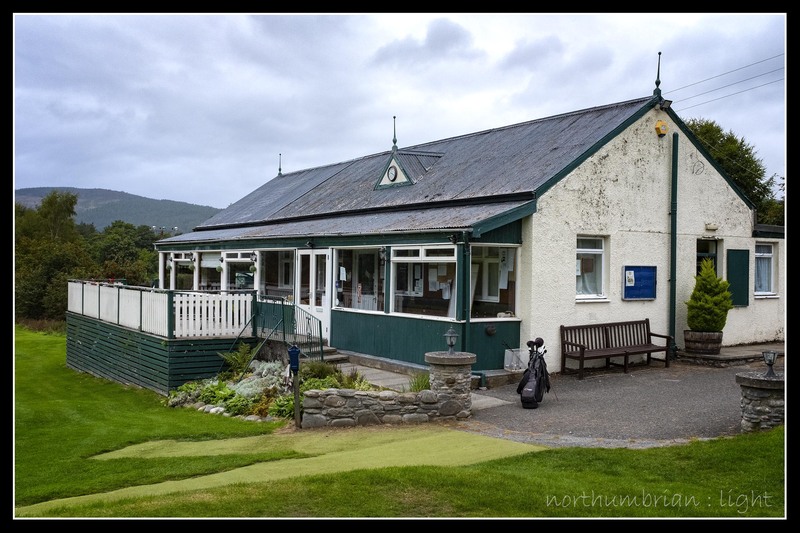 The adjacent combined 3rd and 9th green are on the same level as the first tee, as is the clubhouse. 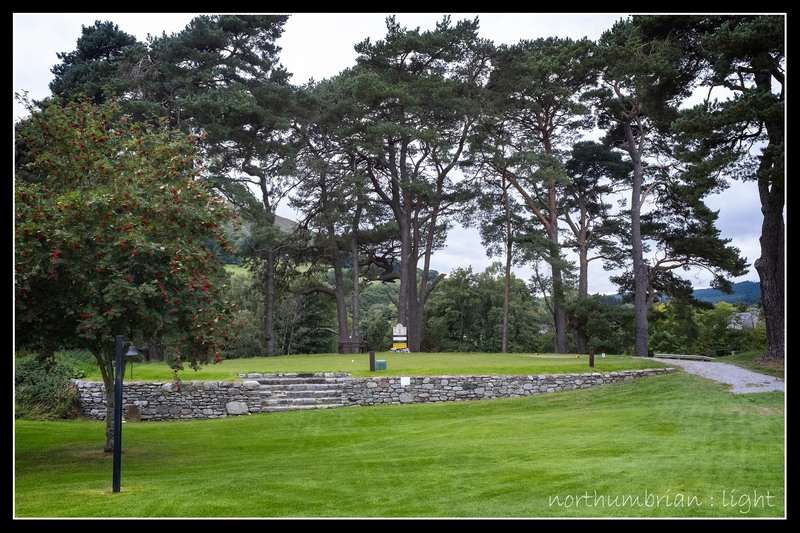 The elevated fourth tee also plays down to what I would guess is their signature hole – a short par 3 with the castellated railway bridge behind the green. 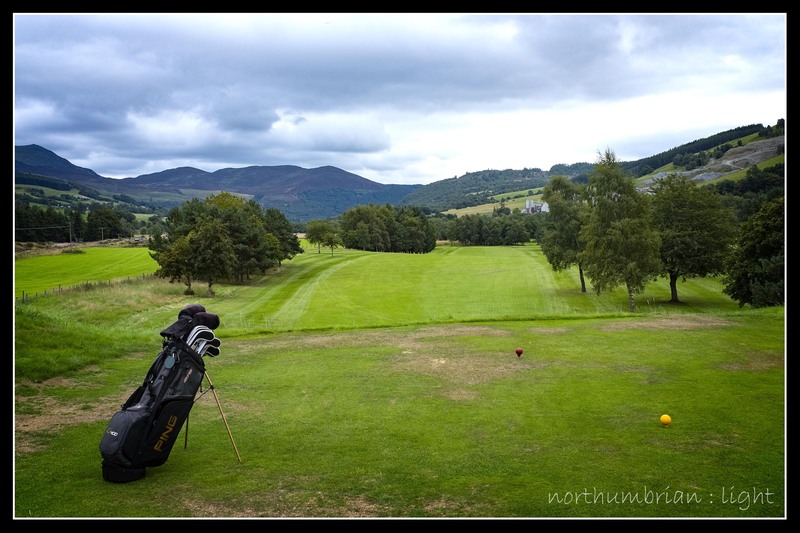 Well maintained, tidy fairways and some very tricky undulating greens, it is a credit to the greens staff. My favourite hole was the stroke index 1, 7th – to the uninitiated it looks tight from the tee with hints of water hazards in the distance – a pond to the left and a stream in front of the green. It turned out they are too distant to be an issue for the average golfer. My unnecessary lay-up resulted in a double bogey. By contrast the 8th looks straightforward until you approach the green and realise there is an over-sized pond about thirty yards out. My best drive of the day came about six inches short of the hazard – after a long hot summer, completely dry. The course finishes with a testing but very enjoyable par 5 to the elevated green adjacent to the 1st tee and clubhouse – a green shared with the third. All in all, a very enjoyable experience which is almost certain to appear in Golf in the Wild II.